Are we Ignoring Seniors Pain? 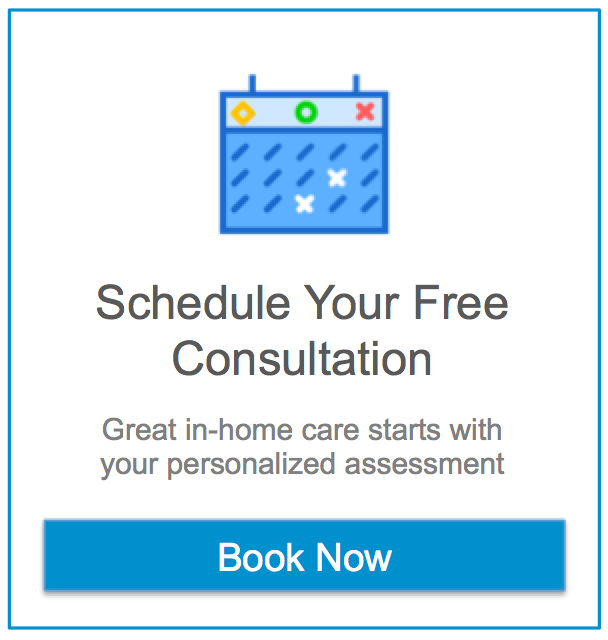 Home Pain maintenance Are we Ignoring Seniors Pain? Assessing pain is important for all patients, but it is especially an issue among elderly patients. They often do not report pain so they needlessly suffer and their pain goes untreated. The elderly themselves expect to have some pain and do not want to be a burden. This is especially more prevalent among WWII veterans and depression-era patients, who tend to be a more stoic group and diminish the severity of their pain. Consequently, this population needs to be assessed in multiple ways. Among terminally ill patients in one study, one-third actively receiving treatment for cancer and 75 percent of patients with advanced cancer suffer with untreated pain. In U.S. nursing homes on average 30 percent of patients experience pain daily. It’s not just patients with cancer; patients dying of cardiac failure, COPD, end stage renal disease and others suffer similar pain as those with malignant disease. How can all these individuals still be wanting for lack of pain control? The medical community has put national emphasis over the last ten years on pain treatment and assessment, yet many individuals suffer needlessly. According to the latest research more people are going on hospice and palliative care for comfort measures but postpone this decision until the last several days of their lives. What is pain? Pain can be nociceptive (soft tissue, muscle, or visceral and is activated as a response to stimuli like heat, chemical or mechanical irritation); or neuropathic pain (typical bruises, sprain, strain, cut, tear or post-surgical pain. Usually the noxious stimuli go away and the pain resolve.). Neuropathic pain is typically caused by lesions or changes to the nervous system, characterized by hypersensitivity in the damaged area or surrounding tissue. A good example is when your leg goes numb after sitting for a long time. You don’t feel the pain until you move and take the pressure off the nerve. That’s when you notice the pain sensation and even then; the pain, numbness or tingling persists for several minutes. Sometimes stimuli go away and the pain persists for even longer periods. The nervous system changes permanently, so what was interpreted as discomfort is now perceived as painful. Some examples are diabetic neuropathy, neuralgias, radiation and chemotherapy-caused neuropathies. The medical community treats pain starting with first line pain medications like NSAIDS and Acetaminophen, and progressing to refractory pain. Refractory pain can be treated with opioids, nerve blocks and other procedures. Refractory pain is pain that persists despite treatment and for longer than expected, refractory pain can be debilitating. Equally important in pain control can be the use of other medication and treatments to get at the cause of pain or symptoms that can exacerbate pain. For example, corticosteroids are used to reduce edema (swelling). Sometimes the body overreacts to injury and the inflammation system goes overboard causing increased symptoms, necessitating that the inflammatory system may need to be suppressed with steroids. Muscle relaxants can reduce muscle contractures and twitching and assist with sleep. Other medications can treat depression and shrink tumors, all of which when treated properly can reduce pain. the verbal intensity scale (rated from no pain, severe pain and levels up to worst pain possible). faces scale (uses drawings of faces to rate pain based on preserved level of happy to unhappy faces. no pain (smiley face) to levels of unhappy faces as pain increases. However we rate pain, most pain should be addressed early and aggressively. 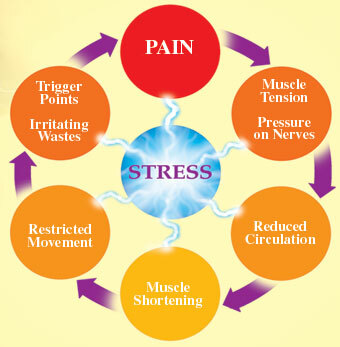 Untreated pain can linger and develop into chronic pain. The body can get used to being in pain as a normal response even though the original cause is removed. I cannot tell you how many patients I have seen as a Physical Therapist who have chronic pain (long lasting pain 6 or more months) that if treated properly the first few weeks their pain would have been diminished. Physical Therapy (and Occupational Therapy) utilizes modalities (like heat, ice, ultrasound and electrical stimulation), movement, and exercise (aerobic, strengthening, stretching, balance). It may also involve: activity, positioning, massage, acupuncture, music therapy, which are all important in treating pain. Movement is a very important component of pain control, especially arthritis. Movement and exercise may be employed in a variety of ways: ROM (range of motion), if something is tight then stretch it and strengthen it, if some muscles are weak. Heat, mobilization, joint manipulation, ultrasound, ice and other modalities can assist in regaining pain free movement. I see patients who are bound to a bed or wheel chair and who respond very well to changes in position or just getting up and standing every hour or so. Ever sit at a computer for three hours and wonder why your neck is sore or why you have that tingling in your neck or arms? Humans were not meant to stay in one position for hours at a time. For patients coming home from the hospital or rehab keep in mind that for every day you are in bed rest it can take one to two weeks to recover. Massage can reduce swelling and metabolites, pain, tension and anxiety. When is a good time to get a massage? Getting a massage is almost always helpful and safe and can be performed by family members with a little instruction. Acupuncture has been shown to have some antidepressant effects and some pain relief during treatment but mixed results with long term treatment of pain. Music therapy is often used in hospice care and dementia care and surgical waiting rooms and can reduce anxiety, chronic pain and provides a sense of comfort and relaxation. Pain threatens quality of life. Physical, emotional and spiritual care can help break the pain cycle. Among seniors we have seen an increase in the prevalence and persistence of pain. The elderly have more diseases, like PVD, stroke, decubitus, amputations, DJD, RA, LBP, myofascial pain and contractures and improper positioning of legs (leading to cramps). Pain among the elderly must not be ignored and requires programs that address pain so that the quality of life can be enhanced. Previous post What can you do about medication adherence? Next post How do you take Good Care of Your Feet? Are care requirements higher for women stroke survivors?